Recognition that unilateral mechanisms of deterrence are inferior to cooperative migration governance can be seen in the adoption of the New York Declaration for Refugees and Migrants in 2016, an exemplary document of the liberal rules-based international order. The New York Declaration makes non-binding commitments to more equitable sharing of the responsibility of protecting refugees between member states. It will be followed by two Global Compacts: one for Refugees and the other for Safe, Orderly and Regular Migration. Produced by consensus, it provides a comprehensive framework to deal with refugees through global cooperation. Tensions between the old desire for territorial sovereignty and the current sense of crisis that drove states to cooperate will have implications for the survival of the rules-based international order and the human rights values it upholds. 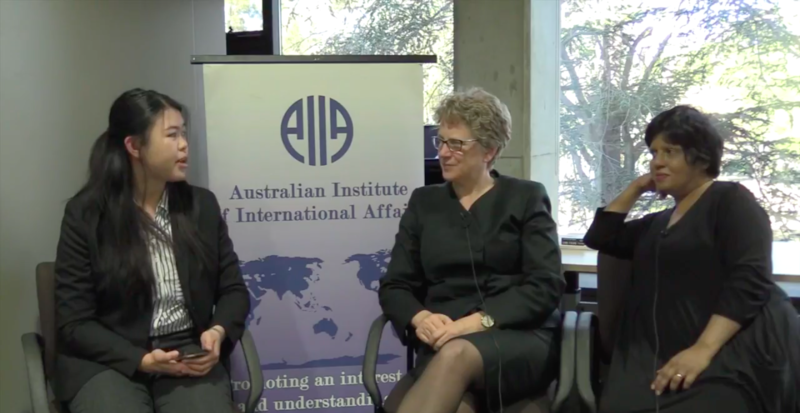 Editor of Australian Outlook Jasmine Gan spoke with Professor Penelope Mathew and Associate Professor Savitri Taylor on 19 July on the sidelines of a conference on Australia and the Rules-Based International Order organised by the Australian Institute of International Affairs, Department of Foreign Affairs and Trade and ANU Coral Bell School with the support of the Attorney-General’s Department. Penelope Mathew is Professor at Griffith Law School. 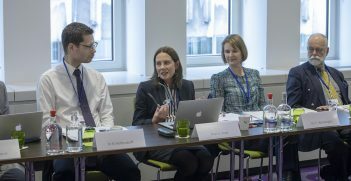 She was a visiting professor and interim Director of the Program Refugee and Asylum Law at the University of Michigan Law School, where she convened the 5th Michigan Colloquium on Challenges in International Refugee Law. Savitri Taylor is Associate Professor at the College of Arts, Social Sciences and Commerce, La Trobe University. Her area of research interest is refugee law and asylum policy at the national, regional and international level. She is also a member of the Management Committee of the Refugee and Immigration Legal Centre Inc in Victoria and the Asia Pacific Refugee Rights Network. The discipline of International Relations is at a crossroad. 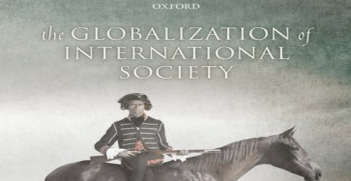 Its orthodox view of the history of modern international relations has been under criticism for some time. The rift between the US and the EU was evident at the G7 Summit this week. A revisionist US poses a conundrum for both the EU and Australia. Contrary to popular belief, a rules-based international order is not in continuity with the past, but a replacement for an international law-based order. The decay of the ideal of politically-neutral international law is a dangerous shift.